On February 20, 2018, the Tampa Bay RPC hosted the Florida Suncoast American Planning Associations circuit rider series to a room packed full of planners, engineers, and elected officials. Joe Minicozzi, AICP, and founder of Urban3 LLC was the keynote speaker for the morning’s agenda. Mr. Minicozzi’s cross-training in city planning in the public and private sectors, as well as private sector real estate finance, has allowed him to develop award-winning analytic tools that have garnered national attention. Land use economics is an effective tool to proactively manage growth. It is also a fiscally smart way to use land more wisely. However, few communities consider the important role the value of land plays in land use planning, zoning, place making and capital improvement planning. 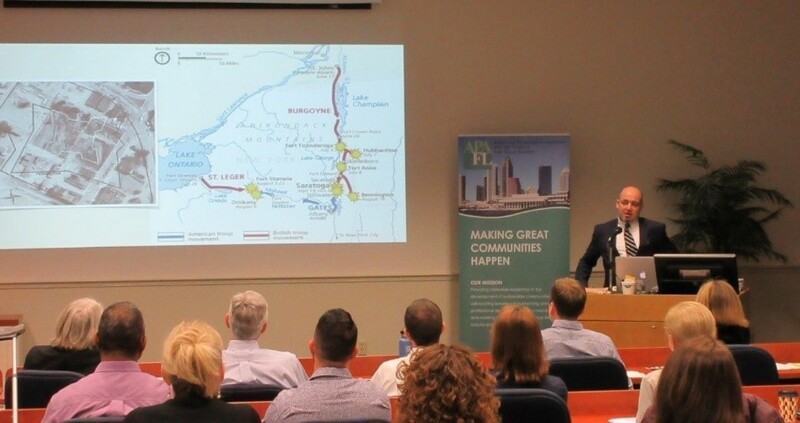 Mr. Minicozzi led the presentation and guided participants to gain a better understanding of the tie between economic productivity and community vitality through land use.